On our laps, these 4 rare PupSize dog breed make the perfect lap dogs. This small, cuddle PupSize dog, the Mi-Ki, is the quintessential lap dog. They range in weigh between five and ten pounds, and love nothing more than love and affection as your constant lap dog companion. No one knows for sure when or how the Mi-Ki came to be, but it is said that they first appeared in the U.S. in the 1980s.It is believed that the Mi-Ki is a cross between various Asian dogs breeds—e.g. the Papillon, the Maltese and the Shih Tzu and the Mi-Ki is considered by some to be an “American-made” breed. This sweet lap dog, originally called “the Black and Tan”, makes for a great lap dog, if you don’t mind a little shedding. The toy Manchester terrier is a miniature or “toy”version of the standard Manchester. These little lap dogs come in two size varieties: Toy, typically not exceeding 12 pounds and Standard size, typically not exceeding 22 pounds. Know to be sleek, racy, and compact, the toy Manchester is among the gentlest and most sensitive of breeds. They are playful with its family, yet reserved, sometimes even timid, with strangers, making this rare breed an awesome lap dog. The Biewer, Biewer Terrier, Biewer à la Pom Pon and the Biewer Yorkshire Terrier. This PupSize dogs has many names and if you’re wondering whether the Biewer Yorkshire Terrier is the same dog as a Yorkshire Terrier…The answer is that although there are a lot of similarities…and the Biewer was born from Yorkies and as of now, are recognized a separate breed. The official name of the breed is Biewer Terrier, the ‘Yorkshire’ part is not technically part of it. Biewers are adorable, fluffy pups who only grow to weigh seven pounds (3.1 kg) on average. They don’t shed much and are hypo-allergenic and is the perfect companion as a lap dog. The Prazsky Krysarik, or “Prague Ratter is said to be “the smallest breed in the world” and quite possible the rarest lap dog in the world, as they are rarely seen outside of Eastern Europe. On average, this unusual breed only weighs between two and six pounds (1-3 kg). Seldom seen outside the Czech Republic and Slovakia, the Prazsky Krysarik has been selectively bred as a companion dog. The Prazsky Krysarik was developed by Czechs and Slovaks who wanted to create a strictly non-utilitarian dog. 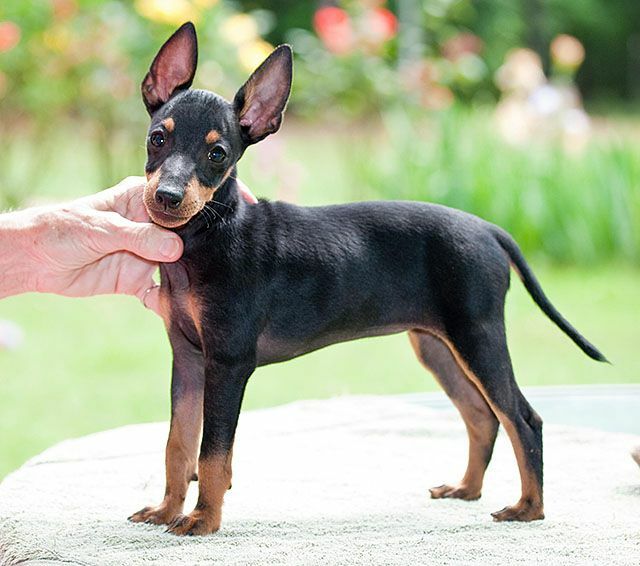 Very similar in looks to the Miniature Pincher with a mostly black and tan coat color, the Prazsky Krysarik is 2 cm shorter in height than it’s look-a-like PupSize twin. If you are lucky enough to find a Prazsky Krysarik, you will have a lifelong friend on your lap. Aww, i love the Biewer Terrier breed. Many Biewer owner mention its hybrid breeder who mixes the Biewer and the Yorkie states. I also found good info here and there are many hybrid dog breeds.